https://orlando.bintheredumpthatusa.com/about	Bin There Dump That Orlando	https://orlando.bintheredumpthatusa.com/img/franchisees/71.png	, Orlando, FL	Contact us for more details. We are a local dumpster rental company in Orlando who provides residential friendly dumpster rental services. Our roll off dumpsters are grean and clean when you get them and they are perfect for waste removal, junk removal or most trash and garbage removal needs. 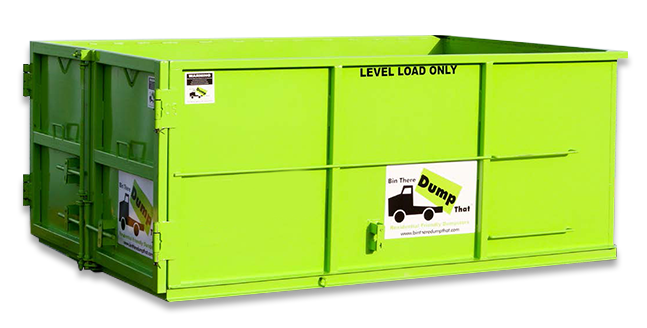 So whatever your cleanup needs are, Bin There Dump That Orlando FL will have the right dumpster rental solution for you. Our roll off dumpsters come in a variety of sizes so we can accommodate any size job. We work with homeowners, business owners, contractors or anyone in need of a dumpster. So if you're looking for a dumpster service in Orlando, give us a call and speak with one of our Dumpster Consultants and let us show you how we can help. Trash in North America is a $35 billion industry. Each year 10% of North Americans move and almost half will perform some type of home improvement. There are growing restrictions on curbside trash pickup and generally most of us want to avoid the inconvenience of making a trip to the landfill site. Everyone has trash and it is one renewable product that is not likely to disappear. Here's how we do it - You simply call to order a bin from our courteous and Orlando local Bin There Dump That Dumpster Consultant. The Dumpster Consultant will discuss your needs with you and then schedule a convenient time to drop off the bin. You don't even need to be home! Before we drop the bin we will be sure to place our unique driveway protection boards down on the driveway. The bin never even touches the ground! You or your contractor fills the bin and you call us when it's full. We come and pick the bin up, being sure to sweep up before we leave your home.